Kids under 3 free, snacks kiosk & food for sale after the show. 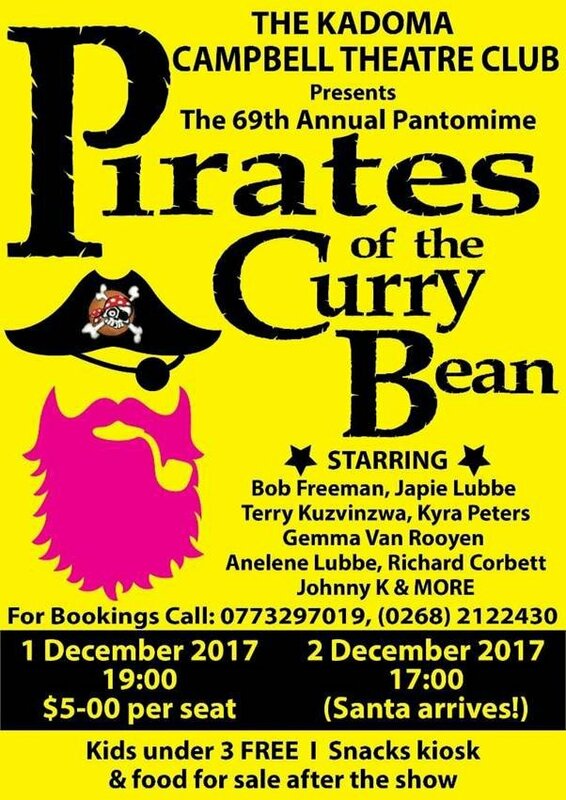 Starring Bob Freeman, Japie Lubbe, Terry Kuzvinzwa, Kyra Peters, Gemma Van Rooyen, Anelene lubbe, Ricard Corbett, Johnny K and more. Booking call: (+263 773) 297 019 / (+263 268) 2122430.